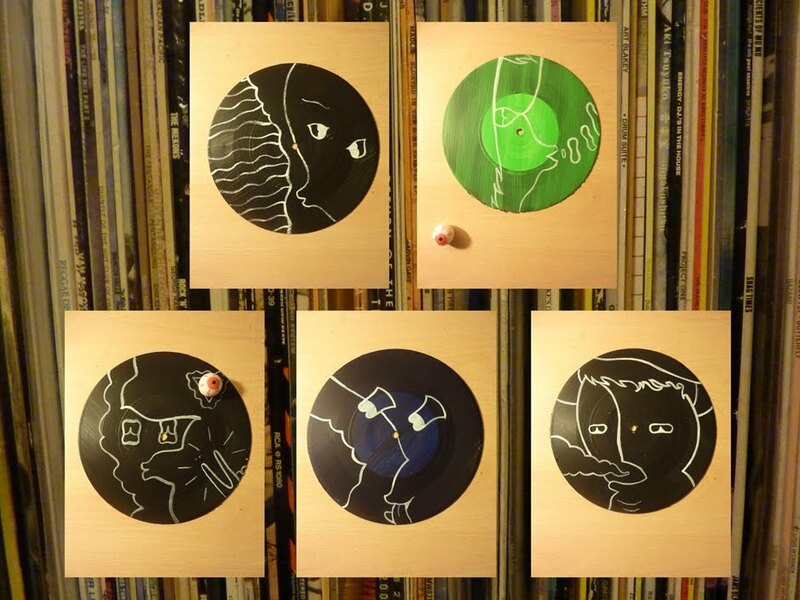 Some vinyl doodles I did back in February, for wall decoration at a Club Anemone night. These were sort of dry-runs for the soon-come Hardsparrow "Sea Tractor" single, which will come as similarly painted 7 inches, and in fancy pants card sleeves. 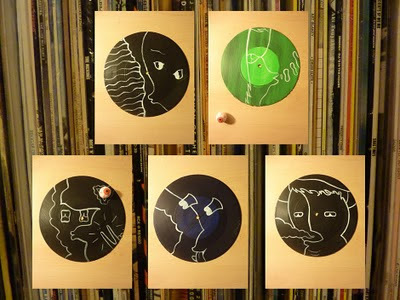 Images l → r, up → down = "Wave Staircase"; "Smoke O's"; "Weird Owl Anchovy"; "Howard Got Dem Boogy Eyes"; "Onion Cloud". Eyeballs for size reference only. Music, illustration, free drawing and whimsy. Doing the caterpillar on the grave of irony since 1977. All content © Peanut Snake, except where it isn't. The Earlies - Message From Home 8"